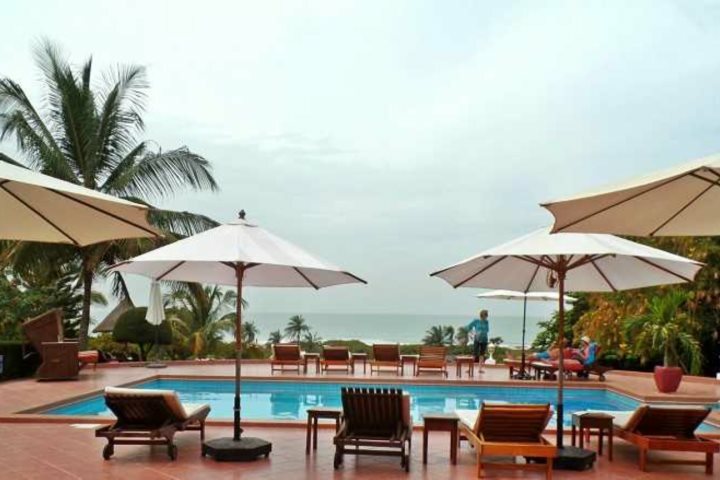 During my recent visit to The Gambia, we went to have a look around our luxury collection hotel, White Horse Residence. 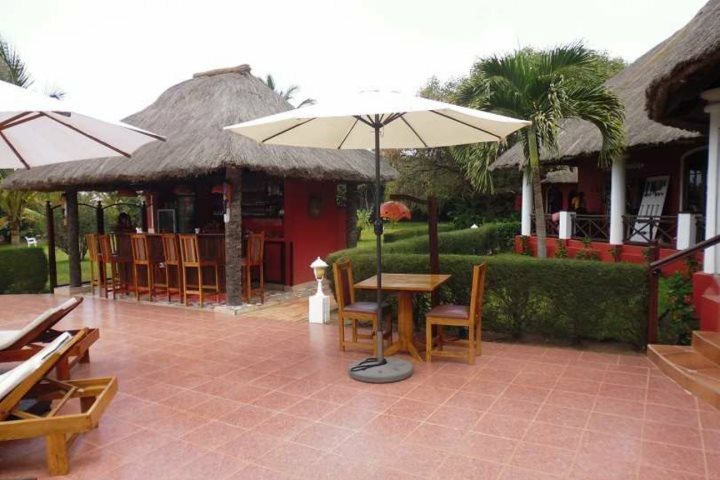 A small, intimate hotel with only seven guestrooms, it boasts spectacular views across forest land down to the coastline, and well-kept gardens which neatly frame the deep red and white buildings. Initially we learnt that the origin of the hotel’s name comes from Peter’s surname – weißes Pferd, meaning ‘white horse’, and ‘residence’ as the hotel used to be his own, private home (originally built in 2004 for retirement). 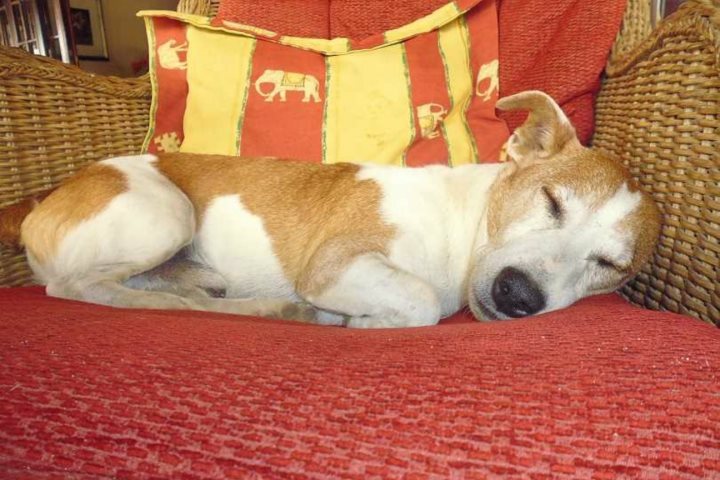 He still resides there himself with his rather cute little mascot ‘guard dog’ Cosmo, both constantly making sure that guests are enjoying their stay. 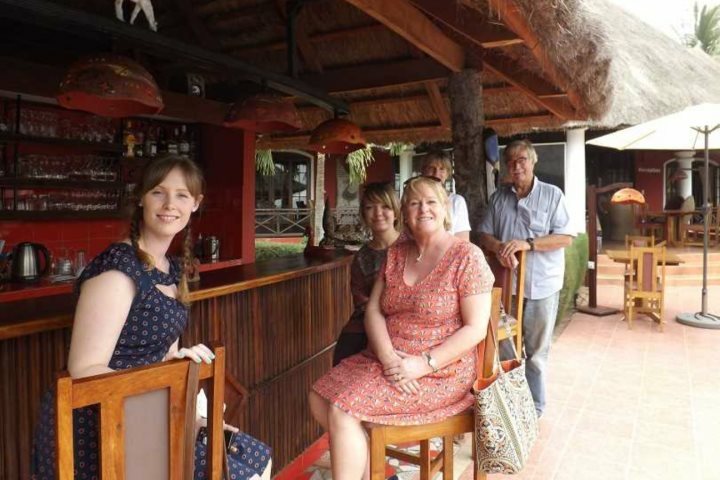 Peter’s home then became a hotel due to changes in Gambian law, as his property fell within a tourism development area, however he’s very pleased that he was then able to share his home with others who love The Gambia too. Peter told us much of what guests can get up to whilst staying there, including his employment of three private drivers to take guests out for the day (payable locally), and an array of water sport equipment which can be used at leisure – that’s if you want to do more than relax by the inviting pool and have a beauty treatment or two (also payable locally). As we talked, we began to discover more about Peter and how he’s spent his time in The Gambia. Originally a renewable energy engineer in Germany, he moved to The Gambia over 40 years ago and now teaches physics at the local college. His perception of teaching is that even if only 10% of his students learn something, then he’s making a difference to their future. 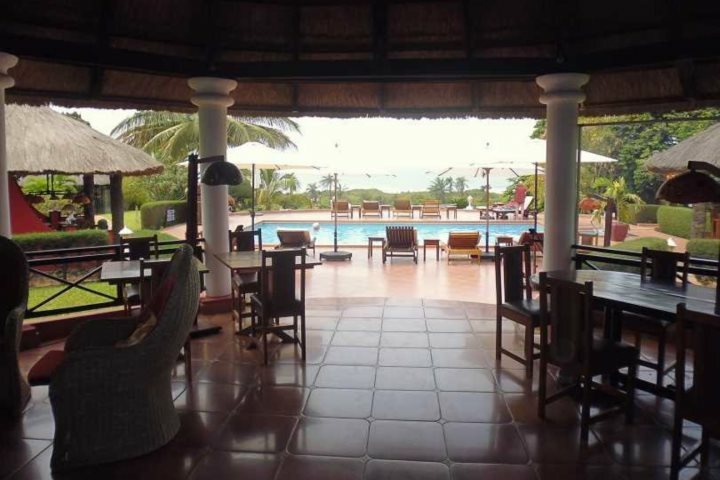 Due to his engineering background, Peter has installed several water pumps and wind turbines in local villages for free, and what’s more, when the hotel’s closed to guests over the summer, local children can come to the hotel and learn how to swim in the pool. Always endeavouring to make a difference, Peter is certainly an inspiration. He teaches his staff top class hospitality skills to help them develop (and to make sure his guests receive a high level of service), he takes on and trains apprentices, all the staff receive good meals whilst on shift, and then Peter takes them home personally after they’ve finished for the day/evening. Peter and little Cosmo are certainly popular among guests, and Peter is often asked by his clients to join them for dinner. I can personally say that I’m not surprised, as he knows so much about The Gambia and the Gambian people; he’s fascinating to listen to. White Horse Residence is an idyllic and serene retreat, ideal for older couples who want to relax with a personalised and attentive service, along with some truly breath-taking views. 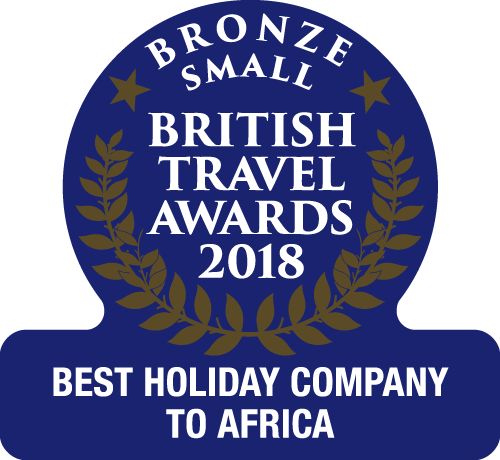 The food I experienced there was of a high standard, and after talking with a few guests, they were keen to share that they were having a fabulous holiday, enjoying relaxing by the pool and making use of the onsite beauty treatments. If you should ever visit White Horse Residence, make sure you sit down and have a good chat with Peter, as you’ll come away having learnt lots about this small, African country. 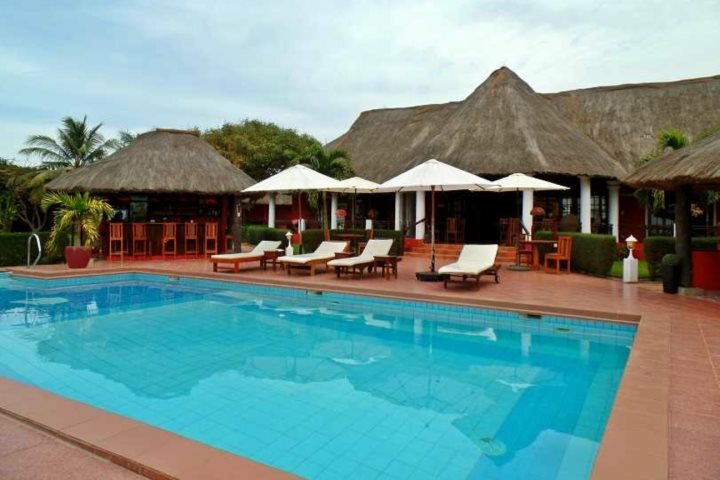 Feeling inspired to take a trip to The Gambia? 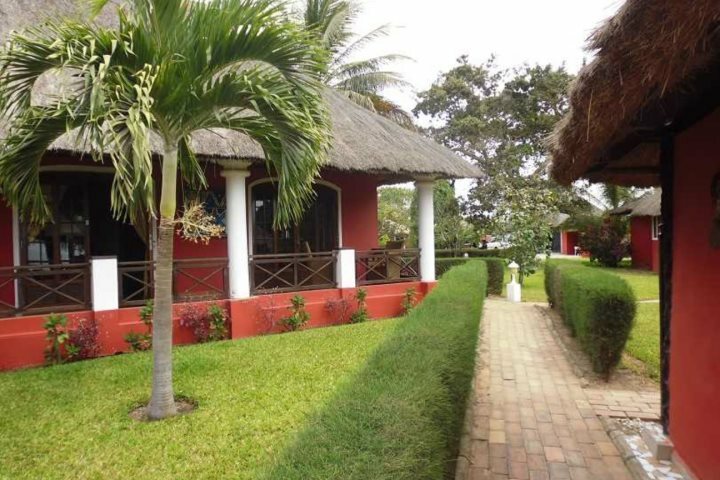 Visit The Gambia Experience to book your very own African escape.